The T4+ optional features include: ABS and dual airbags. 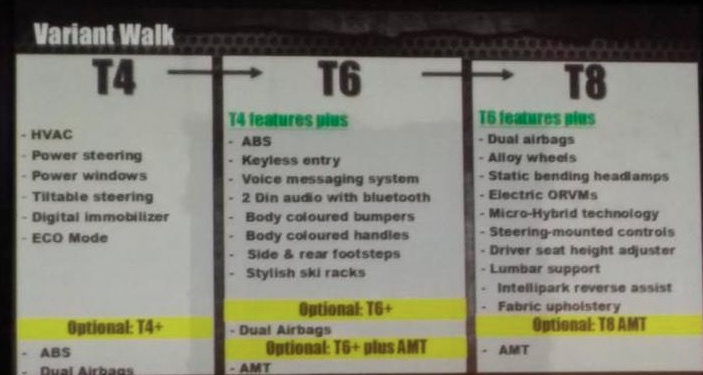 The T6+ optional features include dual airbags and this variant is offered in AMT gearbox as well. Optionally, you can get the AMT gearbox for Mahindra TUV300 T8. 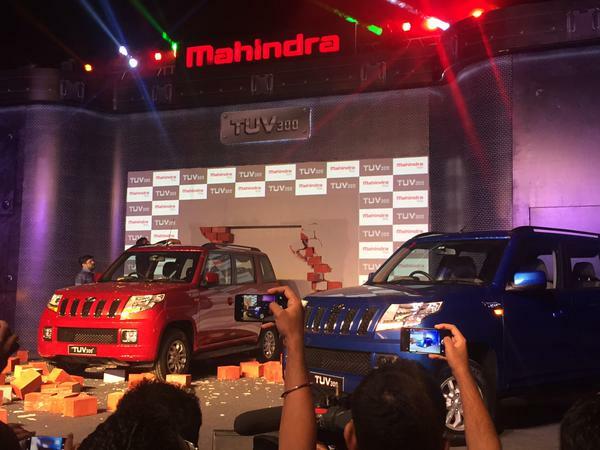 It is important to note that Mahindra TUV300 is the first utility vehicle to get AMT gearbox. The car delivers a mileage of 18.49 Kmpl and is available in ECO mode and Micro-hybrid technology. 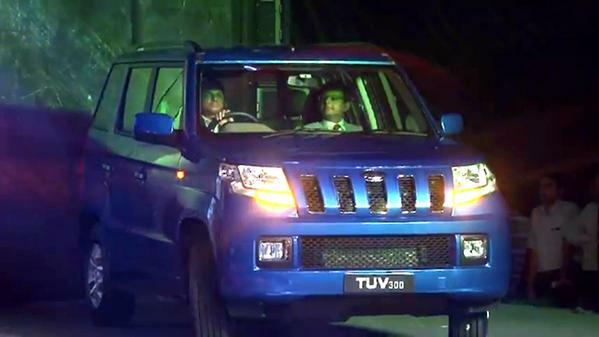 Mahindra TUV300 gets a dual-tone interiors along with a twin-pod instrument cluster and Hexapod centre console. 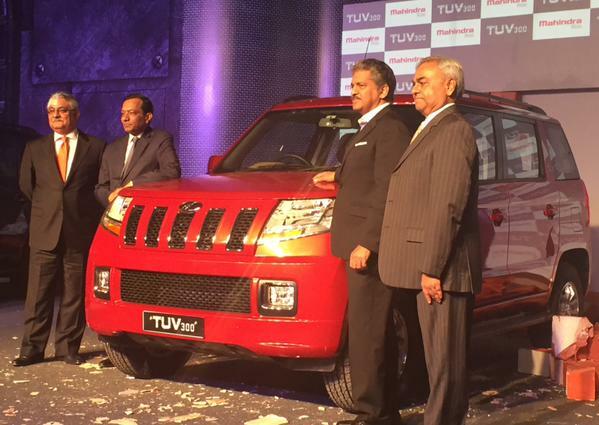 The ground clearance of Mahindra TUV300 is 184mm. All prices as per ex-showroom Pune. 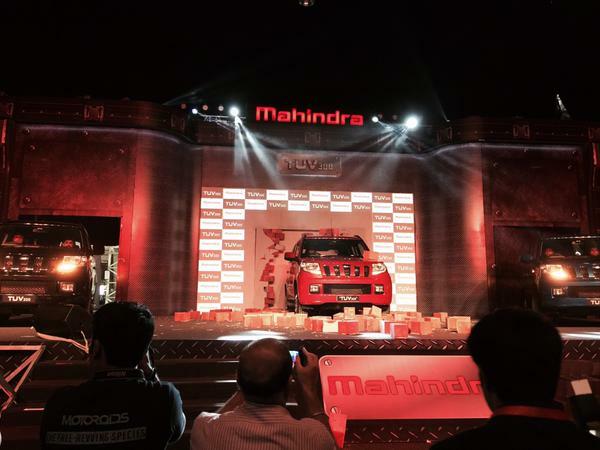 Get Mahindra TUV300 for Test Drive! 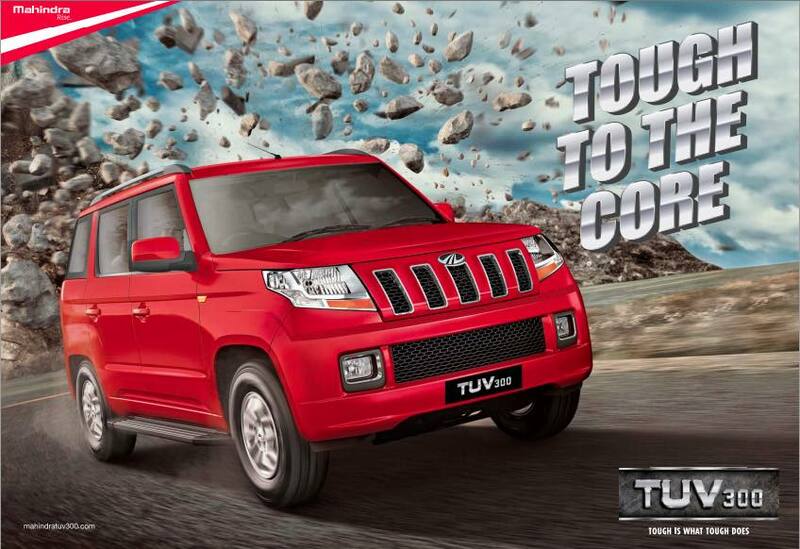 Provide your details so that we can arrange a test drive of Mahindra TUV300 for you at your city!